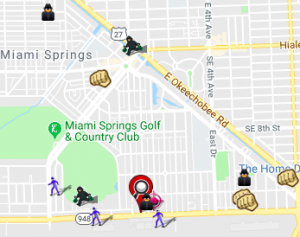 Junior Catilus Killed in Miami Springs IHOP Shooting; Justice Available to Family? Could the tragic death of this young man have been prevented, and are justice and compensation available to his family? 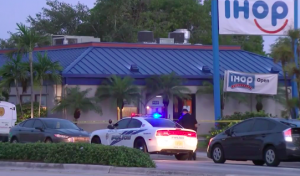 A shooting outside a Miami Springs IHOP restaurant reportedly claimed the life of 25-year-old Junior Catilus Monday morning, June 18, 2018, per News 10 reports. Miami-Dade Police told the Journal-News, Mr. Catilus “and a woman had gone to the IHOP to get something to eat. When they were done, the woman went to the restroom and [Mr. Catilus] walked out to the vehicle. That is when the shooting occurred.” Mr. Catilus was transported to Jackson Memorial, where he tragically succumbed to fatal injuries. Did negligent security contribute to this senseless loss of life? We represent individuals and families who have suffered a tragic loss or injury as a consequence of negligent property security. Read Our Legal Take below to find out if Mr. Catilus’ family may have a legal avenue for justice and claims for substantial compensation in Florida, or call now for a free consultation with our legal team: 888.842.1616. Restaurant and parking lot patrons have a right to feel safe and secure while on the premises. The Murray Law Firm questions the level of security provided on the property and whether this tragedy may have been prevented. Recent crime reports from Spotcrime.com reveal a number of assaults and burglaries in the surrounding area. Were the restaurant or parking lot owners aware of local criminal activity? If so, what security measures, such as bright parking lot lighting, monitored surveillance cameras, and security patrols, were in place to deter crime and protect Mr. Catilus at the time of the shooting? Generally, property owners are required to protect all those legally on the premises from any foreseeable harm. Should the facts of this matter reveal that the restaurant or parking lot owners failed to provide adequate security to protect those on its premises, the family of Junior Catilus may seek justice and elect to pursue legal claims his wrongful death.